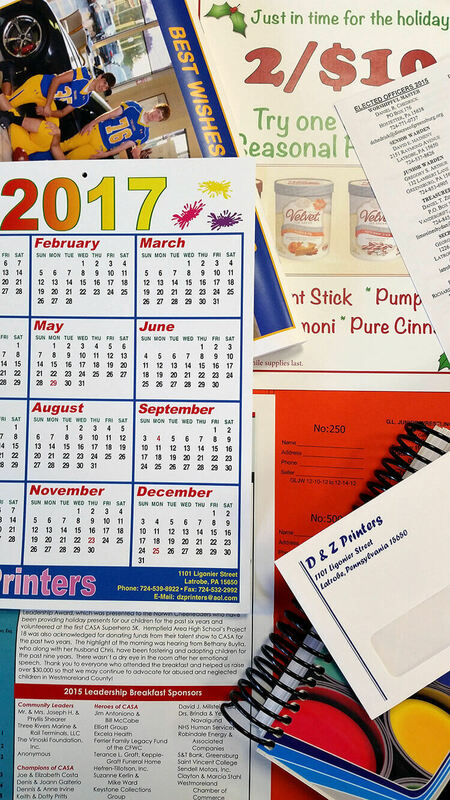 D & Z Printers has operated offices in both Westmoreland and Indiana Counties for over 50 years. From our Western Pennsylvania home, we have served customers all over the United States and the world. We have state of the art high speed digital presses, both black and white, and full color. These innovative machines can take your files and turn them into beautiful finished jobs. If you need help with the design or typesetting we can create a file, from your ideas, and send you a proof for approval. We operate offset equipment as well, so we have the capability to find the equipment that will give you the best job at the best price. Call or email D & Z Printers for a free estimate. You will find people ready to offer great service, great quality and great prices.